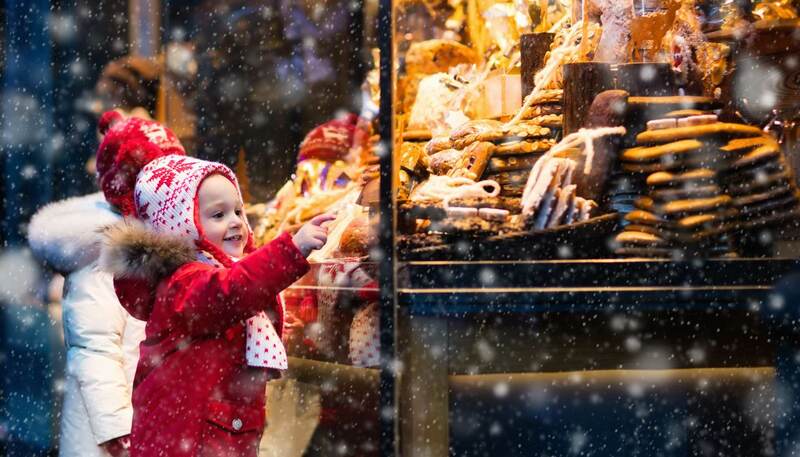 While Christmas markets may vary depending on the city, the essentials remain the same no matter where you go: stalls selling gifts and handcrafted items, all manner of lights and festive decorations, and maybe even a mince pie or two. However, you don’t need to wait until the 25th to get into the Christmas spirit – here are the ten best European markets to check out in the run-up to the big day. The pinnacle of Germany’s already impressive Christmas celebrations, Dresden’s Striezelmarkt has been going since 1434 and remains one of the most popular in the world, with over 2.5 million visitors enjoying the festivities every year. 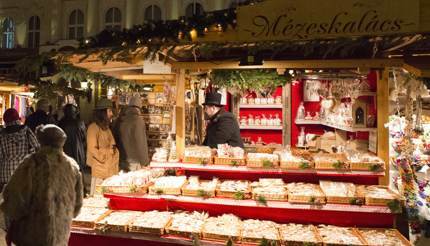 Hundreds of elaborately decorated stalls sell artisan goods, mulled wine and German specialties such as stollen (a fruit bread that was once known as stroczel, and is the source of the market’s name), pretzels and bratwurst. The Altmarkt square also boasts one of the world’s largest usable Christmas arches, a fourteen-metre high Christmas pyramid, and a giant advent calendar in the form of a fairytale castle. Opening dates: 24 November – 24 December. Set in Vörösmarty Square in the heart of the city, Budapest’s Christmas market has over 100 quaint wooden stalls offering quality handcrafted goods. There are also a number of food and drink stalls offering traditional fare such as goulash, gingerbread and chimney cakes (tall, tube-shaped cakes covered in caramelised sugar), as well as some delicious alternatives to mulled wine, such as blackcurrant rum punch. If the lights don’t give away the location, then just follow the smell of warm cinnamon and cooking honey cakes. Opening dates: 9 November – 1 January. Head to the Tivoli Gardens amusement park in Copenhagen for a Nordic Christmas, where goods include Christmas decorations, artisan products and deli fare. Santa Claus is in attendance with his (real) reindeer, and there are regularly scheduled light shows taking place in the centre of the vast lake. Even with the market going on the park rides remain in use, with old-style wooden rollercoasters and a charming aesthetic that was the inspiration for figures such as Hans Christian Anderson and Walt Disney. Opening dates: 17 November – 31 December. Join hundreds of thousands of visitors in Bath’s Abbey Churchyard, where over 200 stalls in the shape of wooden chalets sell mainly locally produced goods. Most of the vendors are from the surrounding area, and the emphasis is on traditional British products, including clothing, crafts and toys as well as cheeses, pickles and wine. Carol singers and thousands of twinkling lights give a decidedly festive feel, and if that doesn’t do it for you then the stunning Georgian architecture will. Opening dates: 22 November – 9 December. 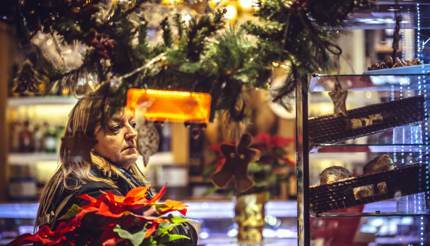 The Christmas season lasts longer in Spain than anywhere else, as Spanish children must wait until Three King’s Day on 6 January to receive their presents. Seville has two big markets – the first and arguably most important one, in Plaza Nueva, showcases handcrafted goods by local artisans. The second, on La Avenida de la Constitución, is the place to buy figurines and background materials for the nativity scenes that are so ubiquitous around the country. Plaza Nueva: 14 December – 5 January. La Avenida de la Constitución: 13 November – 23 December. As you might expect, Father Christmas’ home country celebrates the season with great enthusiasm, and there’s a very high chance it’ll be done under a layer of snow. Over 100 wooden huts on Senate Square, in the centre of the town, sell handcrafted goods at surprisingly reasonable prices. Fortify yourself with the Finnish version of mulled wine, Glögi, which often comes with a dash of vodka or rum. Opening dates: 1 – 22 December. Christmas markets have been taking place here since the Middle Ages, so it’s no surprise that there are over 20 in Vienna alone. You could try visiting them all, but your focus should be the Viennese Dream Christmas Market that takes place in front of the City Hall. As well as offering a myriad of gift items and Christmas decorations, it also allows you to indulge in roasted chestnuts and traditional Christmas punch, which is made with tea, red wine, rum/brandy, fresh lemon and orange juice. There’s also a dedicated children’s area on the ground floor of the hall, and international choirs sing carols over weekends. Opening dates: 17 November – 26 December. 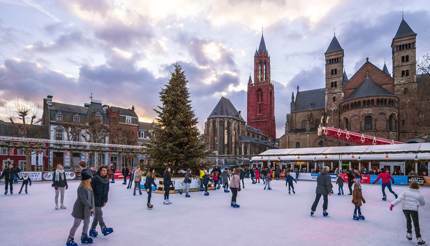 Events in this charming Dutch city centre are held around Vrijthof Square and include ice-skating and a Ferris wheel, as well as stalls selling gifts and Christmas decorations. An added bonus is the city’s proximity to the small village of Valkenburg, which goes all out for Christmas and has a very unique setting for a market: underground, in the city’s Municipal Cave. Opening dates: 1 December – 31 December. Legend has it that the Town Hall Square was the site of the first ever Christmas tree in 1441, and though it remains a debated subject, it hasn’t stopped the Estonians carrying on the tradition with gusto. The market itself has stalls in little wooden houses selling typically Estonian products and cuisine (such as gingerbread and sauerkraut), and there’s also a merry-go-round and a stage where folk performances take place. 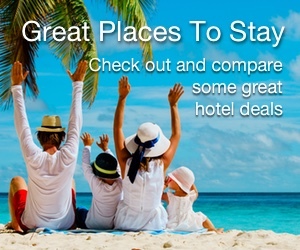 A highlight is the arrival of Santa Claus in a sleigh pulled by real reindeer. Opening dates: 18 November – 8 January. Prague is renowned for its Christmas Markets, with the main ones held on Old Town Square and Wenceslas Square, each only a five-minute walk away from the other. Both have large, brightly illuminated Christmas trees and stalls selling glassware, toys, candles and dolls dressed in traditional costume. A highlight is the school children in traditional clothing singing carols. Opening dates: 1 December – 6 January.